BIS Recruitment 2018 invites online application from the graduates. 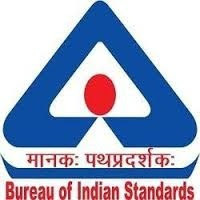 Bureau of Indian Standards Notification 2018 has certain eligibility criteria which the applicant has to satisfy to apply for the posts. The posts under BIS Recruitment are Mechanical, Metallurgical, Civil, Electrical, Electronics, Chemical Engineering, Food Technology, Microbiology and Textile Engineering & Fiber Science. Education Qualification: The applicant must hold a BE/BTech in relevant disciplines or Masters degree in Microbiology with minimum 60% aggregate scores. Pay Scale: Selected candidates will be placed in Level 10 of 7th Pay Commission plus allowances. ‘The indicative gross salary as on date at New Delhi will be Rs 79,929,’ read the official advertisement. Age-Limit: The applicant must fall in the age bracket of 21-30 years. Selection Process: BIS will organize an Examination on 15th April 2018 to shortlist candidates. Candidates who qualify the same will be eligible to appear for an Interview. Application Fee: Male candidates from General and OBC category are required to pay an application fee of Rs.750/- while women candidates and SC/ ST/ Ex-serviceman/ persons with benchmark disabilities are exempted from paying the application fee. How to Apply: Interested candidates are required to apply online on the official website - http://www.bis.gov.in/ once the Online Registration begins on 16th March 2018.